Today you can find me sharing a never-before-been-published pillow tutorial at The Crafty Bee. You might remember The Crafty Bee generously offered up two of her subway prints for a giveaway! Beatrice is a relatively new blogger who is such a sweetheart and talented! She is always creating amazing things for her home. Most recently she acquired a sewing machine, so I shared my how-to's with her! 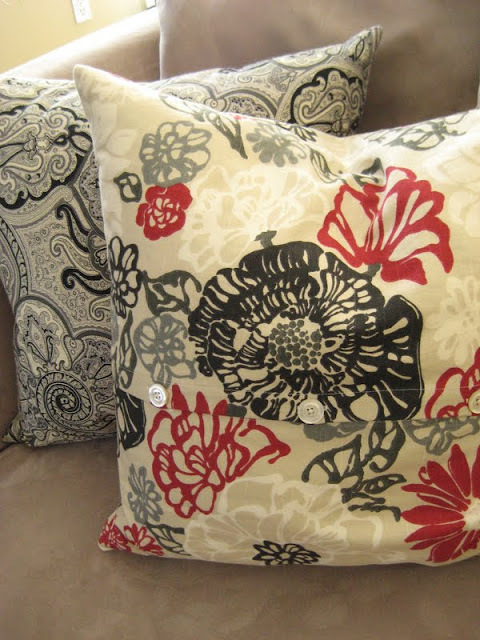 Head over if you want to learn how to make an envelope back enclosed pillow. Next week I will show you how to sew a pillow with an invisible zipper.